Happy World Teachers’ Day, Kru; Ajarn; Teacher! 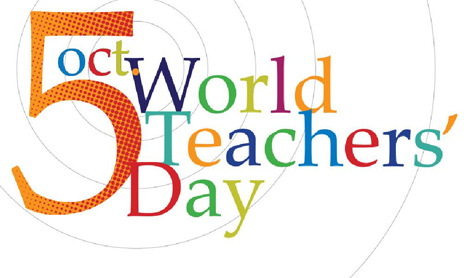 World Teachers’ Day commemorates teachers all over the world by providing quality education from all levels. Its aim is to mobilize support for teachers and to ensure that the needs of future generations will continue to be met by teachers. According to UNESCO, World Teachers’ Day represents a significant token of the awareness, understanding and appreciation displayed for the vital contribution that teachers make to education and development. The first World Teachers’ Day was held on October 5, 1994. This global observance has been organized on the same date each year since then. To all the teachers in Thailand, the Philippines and the world, Happy World Teachers’ Day! Thank you so much for imparting your knowledge and for making us who we are today. Next Next post: Beware: Modus About Fake Facebook Account Targeting OFWs!